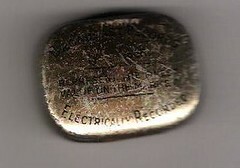 A wonderful strange metal object from Syl and Jon(THANK YOU). 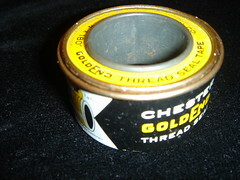 A tin of Chesterton Gold End Thread Seal Tape. Place end of tape on pipe thread one eighth of inch from end of pipe. 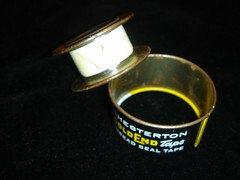 Wrap tape around pipe stretching tape enough to pull it into threads. Slightly overlap the starting turn.Press tightly on tape and pull hard to break it. Pipe thread is now ready for joining. 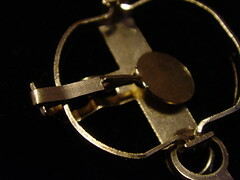 Joint should be snug but does not require complete tightness as with other pipe dopes. 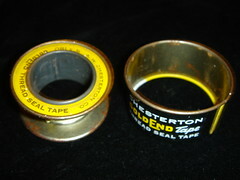 The tape ring fits inside the outer tin ring to protect the tape. 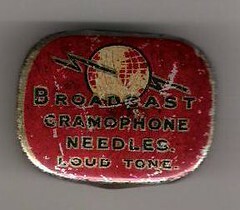 I have a another one of these, that once held a roll of medical plaster. Tipped up to allow you to view tape. The trap before it is set. 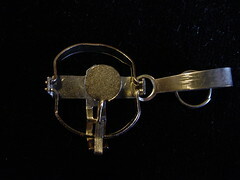 Its is small but has a nasty bite..the trigger mechanism isn't delicate enough to be set off by a fly though! The trap waiting for a wandering Mosquito. 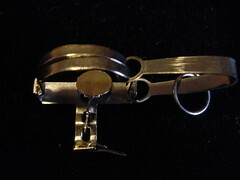 A close up of the set Trap. A very strange one this. A lovely man at the Crafts Council called Barclay Price bought me this back from his travels in Australia. (Thank you for all your encouragement back then Barclay). 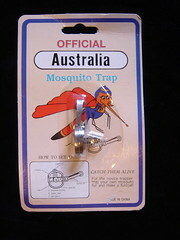 There is a diagram on the front showing how to set the trap and.. Trap your own mosquito and make a fur coat. REPRESENT THE FINEST VALUE ON THE MARKET.